vehicle fairs this year, too. 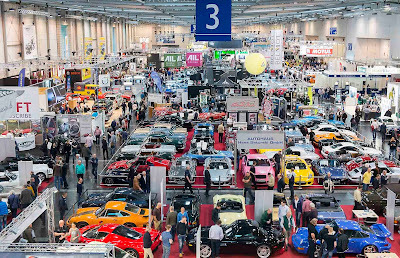 The organiser of Techno-Classica Essen is reporting a "full house" this year, too: All the exhibition spaces in the 20 halls at the fair and on the outdoor sites will be occupied. 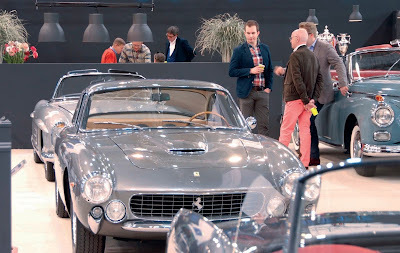 Constantly new ideas, a lot of surprises, new attractions and careful precision work - also on detail improvements: That is the recipe for success of Techno-Classica Essen which makes it the largest and most renowned classic vehicle fair in the world. 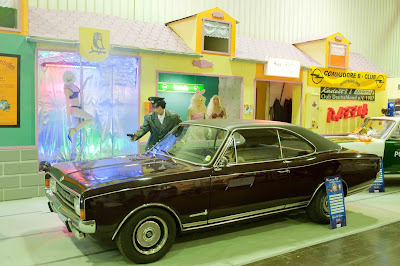 The global classic vehicle fair which S.I.H.A. has organised since 1989 offers more superlatives than all the other exhibitions for classic vehicle fans - and, also on the occasion of its 28th edition, will once more raise the quality and diversity of the available range and of the presentations made by exhibitors. ● Alfa Romeo will present the new Giulia. A worthy setting will be formed by historic models such as the Alfa Romeo 1900, early Giulia models and also their offshoots such as a Duetto Spider, a "Bertone" GTA and a 156 as it competed in the ITC in 1996. With more than 2.4 million visitors last year alone, the Autostadt is the car adventure world with the highest number of visitors internationally. And with the "ZeitHaus" car museum, the Autostadt operates the first and only automobile museum of a car manufacturer to encompass different makes. Meanwhile, the Autostadt's appearance at this year's Techno-Classica will focus on the 12 makes in the Volkswagen conglomerate: "Conglomerate Diversity" will be the motto under which the Autostadt will present a diverse selection of the most different vehicles around a pretzel-window Beetle built in 1951 - and, with an historic Ducati and two oldtimers of the MAN and Scania makes, even one motorcycle and two trucks for the first time. 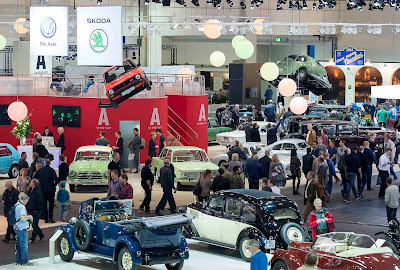 In the Autostadt area, it will also be possible to see an Audi quattro from 1981, a Lamborghini Diablo built in 2000, a Porsche 356 built in 1952, a Seat Ibiza GLX from 1991, a Škoda Popular Roadster from 1935 and a VW Transporter T1 as a flatbed truck from 1956. The particularly remarkable rarities will include the Bentley "EXP 2", the oldest still existing car of the make from Crewe (GB) from 1921, and a Bugatti Type 35 which caused a sensation in the Grand Prix races in the 1920s. ● BMW is currently holding its cards close to its chest as far as detailed information about the Bavarian company's appearance at Techno-Classica is concerned. It is definite that the blue-and-white make will celebrate its 100th anniversary there. Together with the most important BMW clubs and their vehicles as well as the BMW makes MINI and Rolls-Royce, the BMW Group will occupy the largest part of Hall 12 directly next to the East entrance to Messe Essen. ● Instead of Citroën Deutschland GmbH, "Amicale Citroën & DS Deutschland" will hold the Tricolour high this year with their joint club booth called "Citroën Street" - and will celebrate the "125 Years of Panhard" anniversary for Panhard & Levassor which merged with Citroën in 1957 with fascinating examples of the make's creative automobile construction. A few Citroën classics will be presented, too, including a Citroën SM, a CX, a 2CV, a Traction Avant and a DS. ● 50 years after the triple victory of the Ford GT 40 in the 24-Hour Race in Le Mans, Ford will present three GT 40s corresponding to the victorious cars at that time. On its booth organised together with 13 Ford clubs, Ford will also show, in part, very rare power Fords under the motto "Performance". And there will be celebrations, too: La Fiesta - a party will honour the Ford Fiesta (which has been built for 40 years) with rare versions. In addition, further birthday celebrations will be on the agenda: 50 years of the Ford P 6, 50 years of the Ford OSI 20m/TS and 30 years of the Ford RS Cosworth. ● Jaguar Land Rover traditionally resides in Hall 2. The Britons will probably focus on a premiere from the classic vehicle sector after Jaguar Land Rover already presented their new service divisions at the last Techno-Classica. ● Automobili Lamborghini Holding S. p. A., a part of Audi since 1998 and thus at home in the Volkswagen conglomerate, will celebrate the 50th birthday of the Miura with at least two Miura exhibits. ● Mercedes-Benz will show the new S-Class top-of-the-range convertible in Hall 1 - with a selection of open Mercedes models from the history of the Stuttgart-based company. Daimler AG will present a total of eleven soft-top automobiles with the star - from the Mercedes-Benz 500 K special roadster via the 300 SL right up to the convertible in the W 111 series with tail fins. One new feature will be the vehicle dealer called "All Time Stars" (http://alltime-stars.com/) - the stars show will be rounded off by the officially recognised Mercedes-Benz clubs. ● Opel will dedicate its booth to the Opel GT which is still fascinating today. Opel Classic has announced its intention to present an unusual GT retrospective. ● Peugeot Deutschland will place its faith in the Peugeot 504 Coupé/Cabriolet Club at Techno-Classica Essen this year. With two Peugeot 504 Cabriolets, this club will present two of the most charming vehicles from the more than 125-year automobile history of the Peugeot make. ● Porsche will celebrate the anniversary for "40 Years of the Porsche 924" with fascinating transaxle exhibits: The exhibition items will include a prototype of the 924, a 944 turbo-Cup from 1986, a sectional model of the 968 and the last Porsche 928 GTS ever built. Moreover, it will be possible to see a Porsche 911 ST, an early competition Eleven, next to a body shell of an early three-litre Porsche Turbo (Type 930) which will be restored. In addition, ten European Porsche Classic partners will present themselves with significant classic vehicles. ● In Hall 12, Rolls-Royce Motor Cars Ltd., in the BMW conglomerate since 1998, will present, under the motto of "80 Years of the V12", the current Ghost model with a V12 engine and a six-cylinder Rolls-Royce Silver Ghost which was built in the factory in Springfield in the USA in 1923. ● Seat will celebrate "20 Years of the Cupra" with the first Ibiza Cupra from 1996. An Ibiza kit car from 1996 whose greatest successes include three victories in the World Rally Championship in the two-litre class will demonstrate the sporting qualities of the Ibiza. And in celebration of the 25th anniversary of the Seat Toledo, it will be possible to see a GT 2.0 from 1991. ● At Volkswagen Classic in Hall 7, attention will centre on the subject of "40 Years of the Golf GTI". It is planned to bring on a large speciality show with six spectacular GTI variants. The bridge to the present will be built by the current GTI Clubsport with 290 bhp. 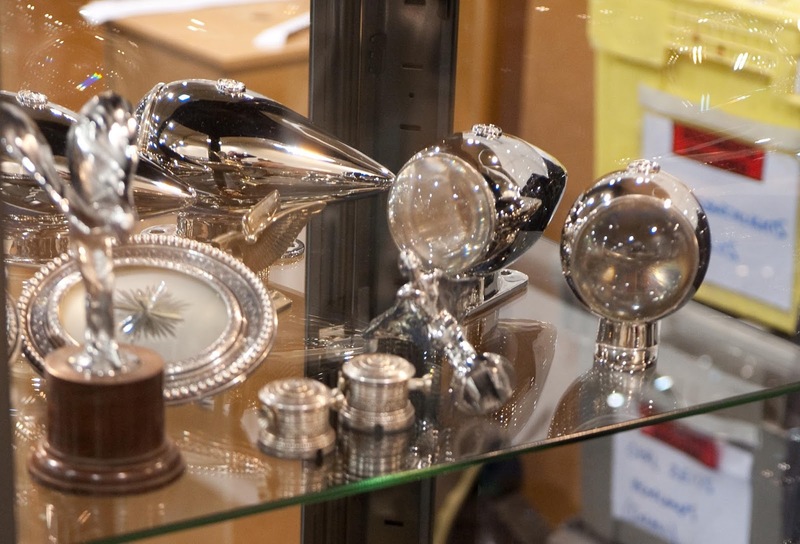 Volkswagen Classic Parts, a supplier of historic spare parts, will also be dedicated to the anniversary subject with a few exhibits. The independent make Volkswagen Nutzfahrzeuge will show a Volkswagen T1 minibus as a special model called "Samba", a vehicle from the T6 Generation Six and, as since 2008, the T1 "Becks Transporter", too. ● The Swedish make Volvo will present the new Volvo V90 estate. Logically, "Volvo - The Estate Heritage" will be the motto under which Volvo will present a range of spacious transport vehicles from its 89-year history: The selection will extend from the Volvo PV 445 Duett from 1957 and the Volvo 145 estate from 1968 via the Volvo Amazon estate from 1969, the Volvo 1800 ES from 1972 and the Volvo 245 estate from 1993 right up to the Volvo 850 T5-R from 1994. 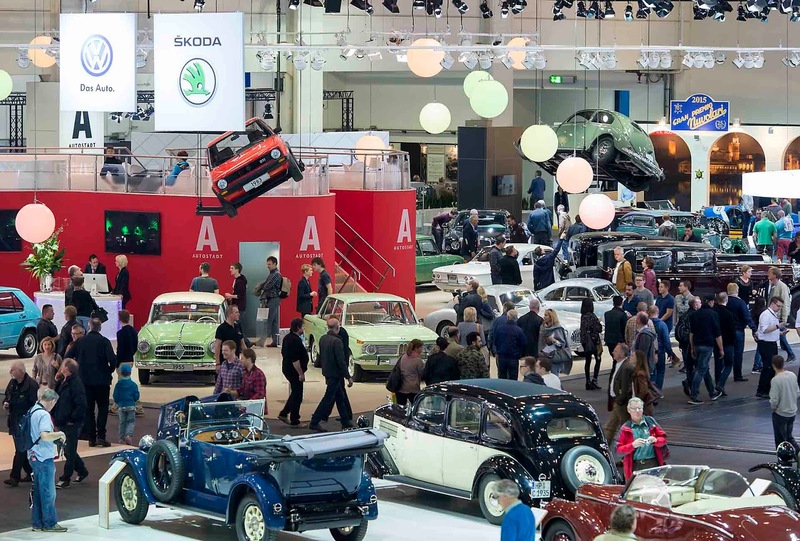 In addition to the appearances of the automobile industry, the classic vehicle trade will be another important cornerstone of Techno-Classica Essen: More than 2,500 classic vehicles, collectors' and connoisseurs' vehicles, youngtimers and prestige automobiles will be available for purchase. When selecting the vehicle suppliers, the organiser will ensure that priority will be given to renowned dealers with first-class ranges - irrespective of the segment on offer. 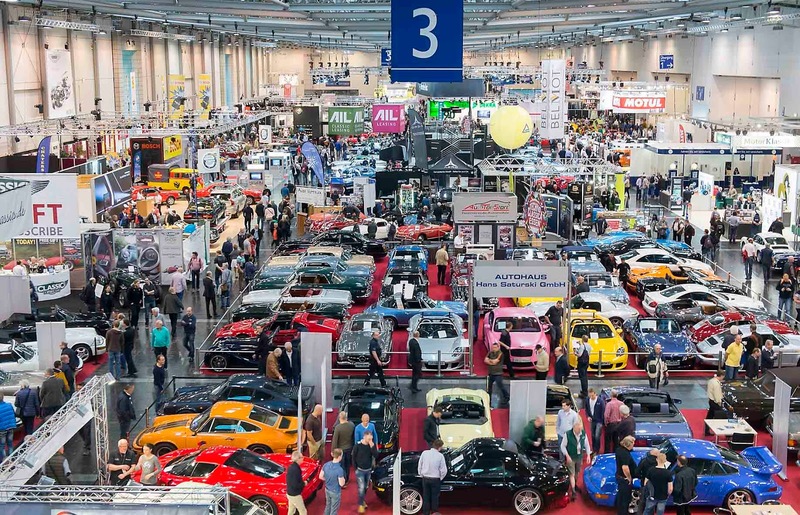 For example, not only youngtimer dealers who make it possible to gain entry to the scene in an affordable way with cars up to 30 years old but also rarity professionals who have international activities and offer rare and valuable classic vehicles (right up to the Ferrari GTO or the Mercedes-Benz SSK) for up to double-figure million amounts will meet up in Essen. And after the great success last year, S.I.H.A. will this year present the "Top Salon Exclusive" with exquisite connoisseurs' automobiles from renowned suppliers in Hall 1A for the second time. S.I.H.A. will define the subject of "Young Classics" as one particular main focal point: Almost a third of the vehicles offered at Techno-Classica Essen will be between 20 and 30 years old, i.e. at the best age in order to mature into well-kept classic vehicles in the hands of enthusiastic owners. 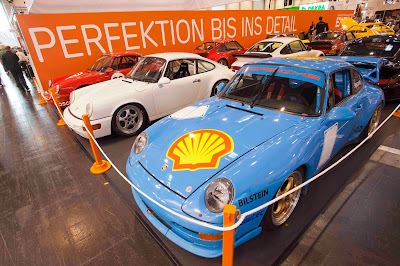 For the more than 220 exhibiting classic vehicle clubs and interest associations, Techno-Classica Essen will once again be the most important classic vehicle fair of the year in 2016, too: They will make the leading fair on the classic vehicle scene the world's largest club meeting place on the oldtimer and youngtimer scenes, will offer over 200 special shows in the large classic vehicle show and will ensure entertainment full of content. However, the attractiveness of Techno-Classica Essen is rooted not only in purchasing, selling, passing on information and stimulating people to take part in classic vehicle events: It is fascinating - and also presents treats from automobile history to the spoilt connoisseurs amongst the classic car professionals every year in a spectacular special show. At the heart of the global classic vehicle fair (in Hall 6), the organiser, S.I.H.A., will, in 2016, too, once again stage a fascinating special show with rare and spectacular historic racing cars which will have one thing in common: In 1955, they all started in the legendary Mille Miglia, probably the hardest road race after the Second World War. S.I.H.A. is expected to exhibit ten of the most stunning and most spectacular competition vehicles in the Mille Miglia in 1955. Attention will centre on a Mercedes-Benz 300 SLR, a car of that type with which Juan Manuel Fangio secured a sensational second place in 1955. The S.I.H.A. 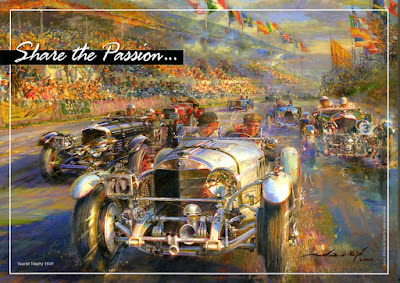 booth will be adorned by other racers such as (probably) a Ferrari 750 Monza, a Porsche 550 Spyder or a Maserati A6 GCS.